By now it’s glaringly obvious that Beyoncé is amazing and everything she does turns to gold. 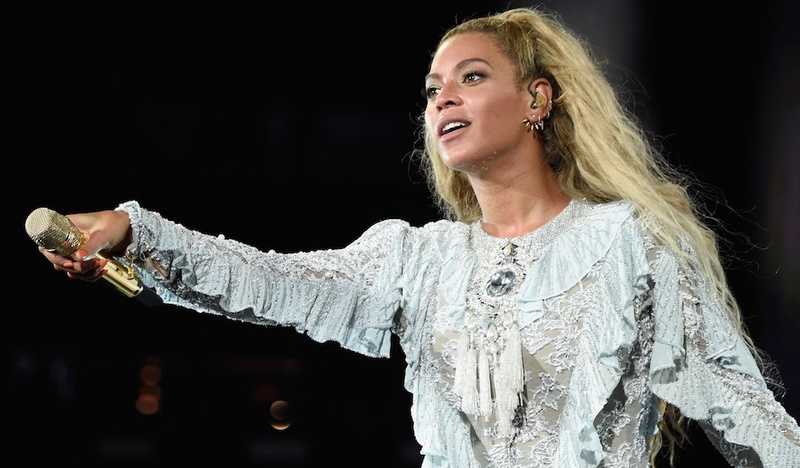 But also, everything Queen Bey wears is stylish beyond our wildest dreams! Us Weekly let us know that she wore some gorgeous knee-high boots (with whopping four-inch block heels) to mark the end of her Formation World Tour in New Jersey. Even though they looked like a million bucks, the Lust for Life “Maven” velvet boots cost less than $120! So they’re actually not beyond our wildest dreams, and therefore channeling our inner-Beyoncé is entirely possible! Paired with her Gilles Montezin yellow ruffled coat, Bey absolutely SLAYED on stage. We can thank her costume designer Marni Senofonte for that! She notes that the look was inspired from Lemonade. "The process for designing this tour came from the beginning of the project, which was the movie. There was a very antebellum feel to the film. We went back to New Orleans, we had this Victorian street wear." If you’re wondering how Bey managed to perform in shoes with such sky high heels, the answer is simple: Bey can do anything. Now we’re sad that her tour has come to end, but we have a feeling that this Queen will be back to dazzle us soon enough. In the meantime, we’re still listening to Lemonade on repeat. Oh, and you can buy a pair of blue velvet boots of your very own here!